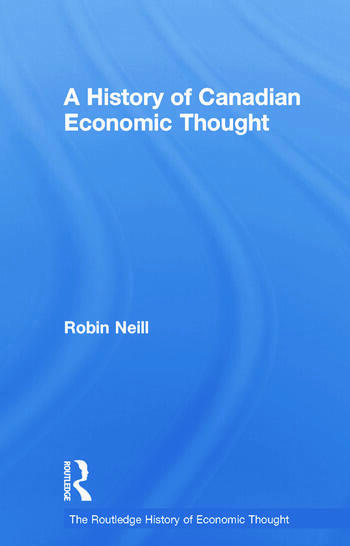 In A History of Canadian Economic Thought, Robin Neill relates the evolution of economic theory in Canada to the particular geographical and political features of the country. Whilst there were distinctively Canadian economic discourses in nineteenth-century Ontario and early twentieth-century Quebec, Neill argues that these have now been absorbed into the broader North American mainstream. He also examines the nature and importance of the staple theory controversy and its appositeness for the Canadian case. With full accounts of the work of major Canadian economists including John Rae, H.A. Innis and Harry Johnson, A History of Canadian Economic Thought is the first definitive treatment of the subject for 30 years.